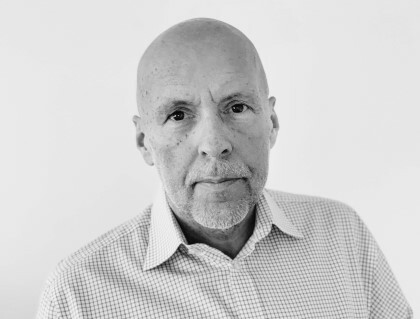 Darren Adams, who works for IBM in the UK, has finally done something Lotus Marketing has not been able or willing to do in 10 years: show the product. He has set up a new site NotesIsCool.com which does just that. Yoda says: Darren a raise you must give, Alistair Rennie. Now THAT was a long time a-coming. Is this really an instance of a maverick getting impatient with the behemothic company, or a corporate effort? Certainly a great deal better than this or this. I do wonder why Mr. Adams used Apache and Wordpress instead of Lotus Domino; ease and stability perhaps? We will have to ask Darren. I find it unlikely that IBM would be hosting here. And JP, will you please not knock Darren over the head because he uses a sensible solution? He commands more than a hammer. JP, I just knew someone would ask that. It's for historical reasons... I've had a site hosted with a particular service provider for many years, I've used WordPress for many years, and when the time came to do this I had the web space, I had the ability to add a domain name, I could get a WordPress site set up quick and easy, and I could do it without asking anyone's permission. I wonder if we will see "DominoIsCool.com". Stuart? Nick... no involvement from official IBM (I'm not even submitting an expense claim for the domain name). I'll be candid but Volker's "show the product" comment is pretty much spot-on. I've spent time with people both internally and externally, and have showed them stuff like live text (which I just use every day) and the reaction is "wow, that's amazing". There's some well-kept secrets here and it's time to get them out there. Volker, I wasn't knocking Darren over the head. So that's what you guys are talking about all the time. Great site. Very well done sir and its great that you are doing this. Conversely its very sad that you have to do this yourself, considering your employer. I'm still yet to meet a single person who considers this product "cool" who isn't in the questionable position of having built their entire career or business around it. 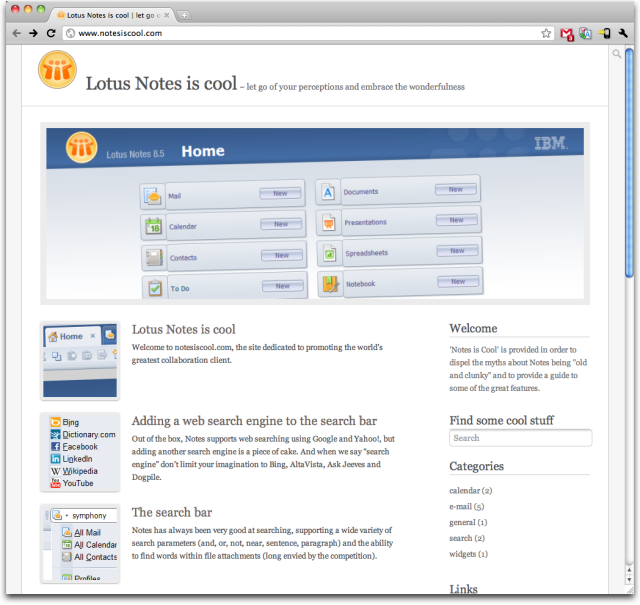 at work I have to use Lotus Notes 6.x and is a real pain. I hate that software. Ok, it works, but how? I'm missing a lot of features but we will get Exchangen anytime next year. I'm looking forward to that point. However, the question now becomes..... How do you get the site in front of "normal" people? kudos from me too, thanks. @Ian, with posts like the one from Volker, Facebook, word of mouth, whatever. In my case Volkers post merely reminded me of the site since I came across via some other route.